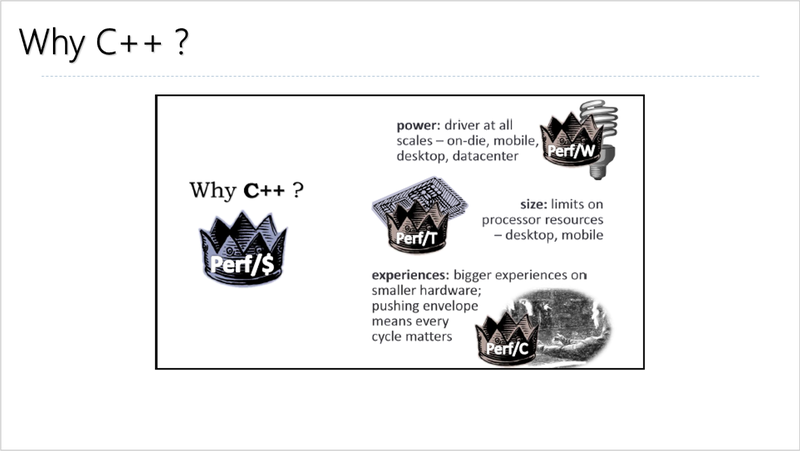 Why C++ in 2017 ? An article for Programmez ! In the October 2017 edition of french magazine Programmez, I have written an article about Why C++ in 2007 ? The world is built on C++: Windows and its 3400 dlls, Explorer app, MS Paint, your browsers (Chrome, Edge, IE, Firefox), your multimedia player, Office suite (Word, Excel, Outlook, etc), Notepad++, SysInternals Suite Tools, etc. 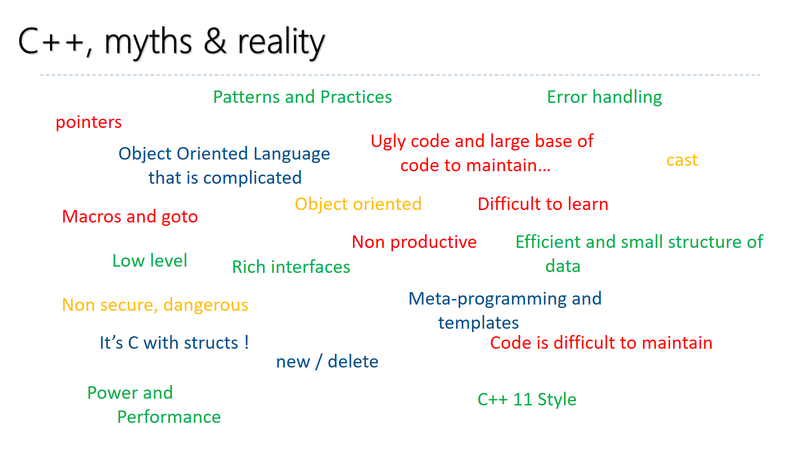 Here is a picture I wrote about C++ myths and reality ; it’s funny. Everybody can catch something. I have a new exciting challenge in Paris. 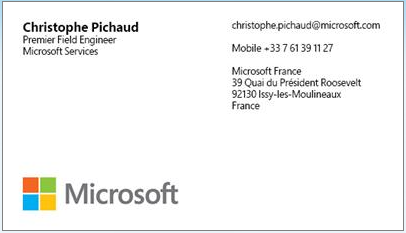 I will work for a popular Microsoft Gold Partner : Neos-SDI. One of my challenge @Microsoft was about native development for debugging a large C++/MFC application. The customer had paid for a large contract (25 days). I have done the job. I found the bugs after serveral trip to the customer’s location in south of France. The customer was satisfied. I also had .NET missions with code review, audit, performance enhancements, data access problems with EF, SQL Server audit. 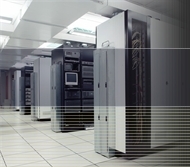 The job of PFE was very exciting, very technical but it is over. 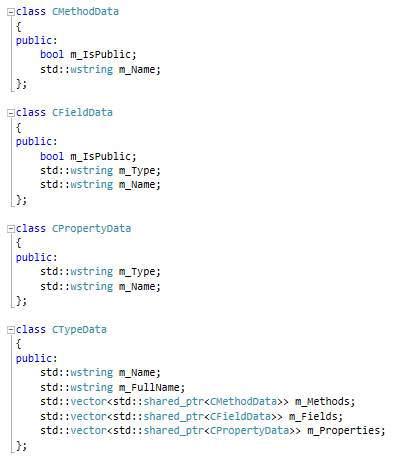 To manipulate the data about methods, fields and properties, I have to call the .NET assembly i have created. I just make a reference to this .dll only if my app supports the /clr compiler option. The method that is linked to the Ribbon icon “Import .NET Module” is shown below. 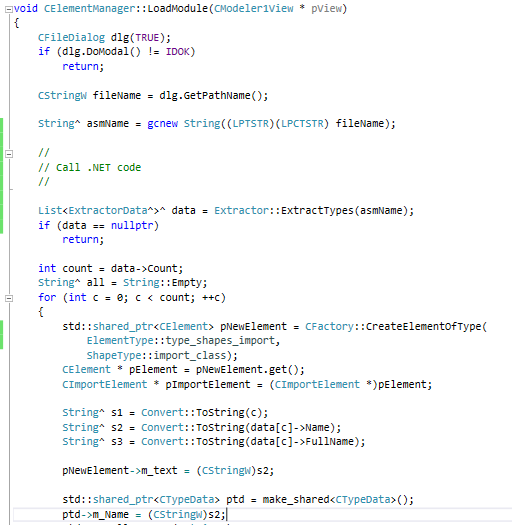 I just call the CFileDialog to choose an assembly and then I call the .NET code. 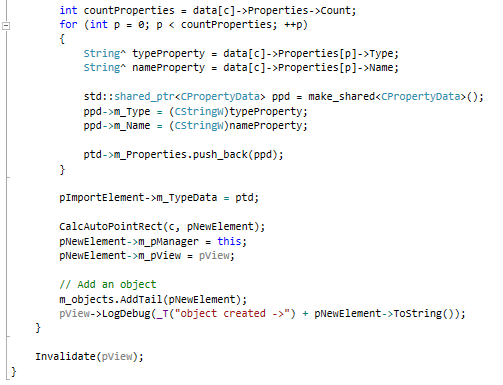 As you can see, the .NET code is called using C++/CLI with the ^(hat) symbol to define objects. In the .NET C# mode you don’t see it is a pointer to an object but in C++/CLI you have to declare it with the specific syntax. 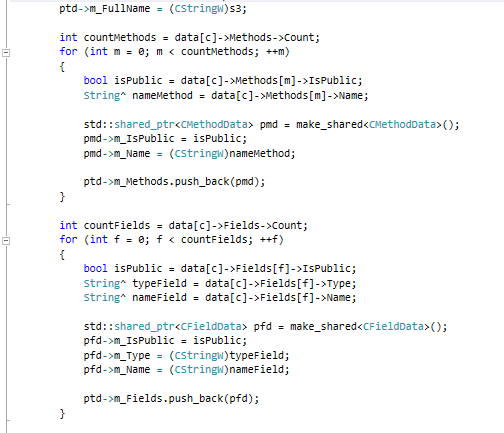 Once the method is called, I just take every data and put it in C++ classes.